NEW YORK ― We’ve seen a lot of variations of Jack Pearson on “This Is Us,” spanning several years ― from his younger, clean-shaven days to his full-bearded look. But in next week’s Season 2 finale, viewers will get the chance to seeMilo Ventimiglia playing a mucholder version of Jack ― gray hair and all. The episode will show what Jack would have looked like many years later if he hadn’tdied from cardiac arrestafter saving his family, their dog and their keepsakes from a house fire. Essentially, it’s a present-day Jack at what appears to be the wedding of his daughter Kate (Chrissy Metz). “I think that’s a version of Jack that everybody would have liked to have seen and they are excited to see. For me, selfishly it gives me another opportunity to work with actors on the show that I may not be able to work with because of Jack’s early passing,” saidVentimiglia, who sat down with HuffPost Thursday at the New York City Fire Department Engine 8 to discuss the importance of changing batteries in smoke detectors as part of a partnership with Duracell. 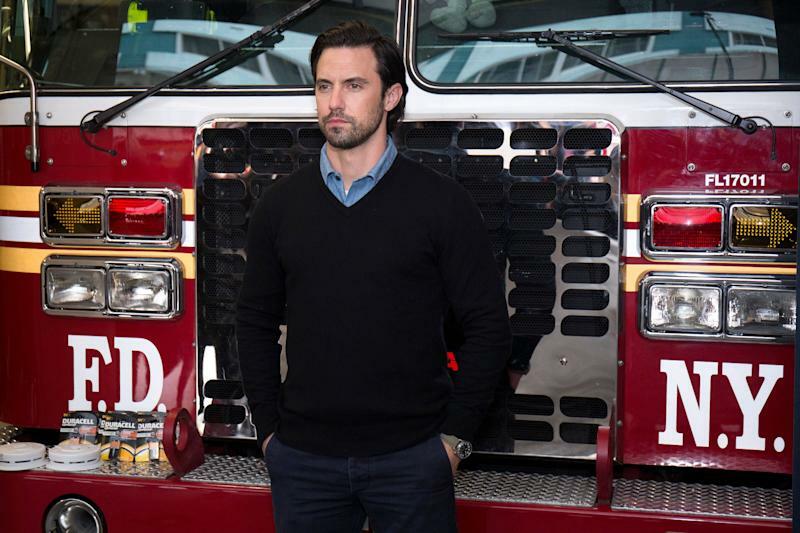 Milo Ventimiglia teamed up with Duracell, visiting the New York City Fire Department this week to remind everyone to change their smoke detector batteries when changing their clocks for daylight saving time. So what would Jack have been like if he did live into his 70s? 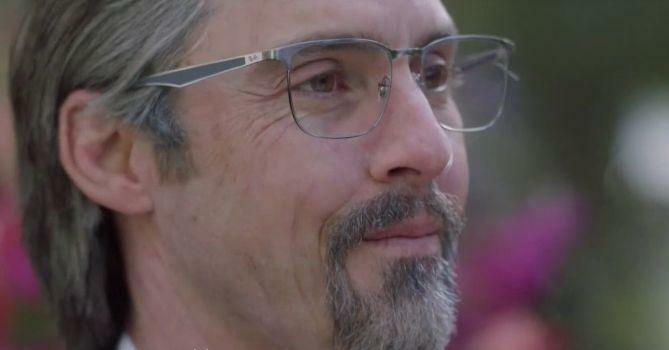 An older version of Jack Pearson on "This Is Us." To get the look, Ventimiglia had to sit in the makeup chair for a while. “It took about three hours to put on and about an hour to take off. But it’s amazing how it transforms how I feel, how I move, how I talk. It’s an amazing feeling ― all of a sudden, you’re in your 70s,” he said. On a daily basis, stepping into the role of Jack Pearson, though, comes relatively easy forVentimiglia. He says it’s especially natural acting alongside Mandy Moore, who plays Jack’s wife, Rebecca Pearson, on the NBC series. Moore recentlytold HuffPost she’s watched nearly every “This Is Us” episode with Ventimiglia. It’s become a “tradition,” Ventimiglia said, especially because the completed episodes air months after the actual filming. And yes,Ventimiglia cries while watching the show, too. The episode in which Jack’s cause of death is revealed was particularly heart-wrenching for viewers.Ventimiglia, for one, is glad that it finally aired and that people now know how his character died. Ventimiglia plays Jack Pearson opposite Mandy Moore's Rebecca Pearson in the show. The series has much more to uncover about Jack’s backstory. With that and all of the show’s success, Ventimiglia says he feels a responsibility to the show and the fans. 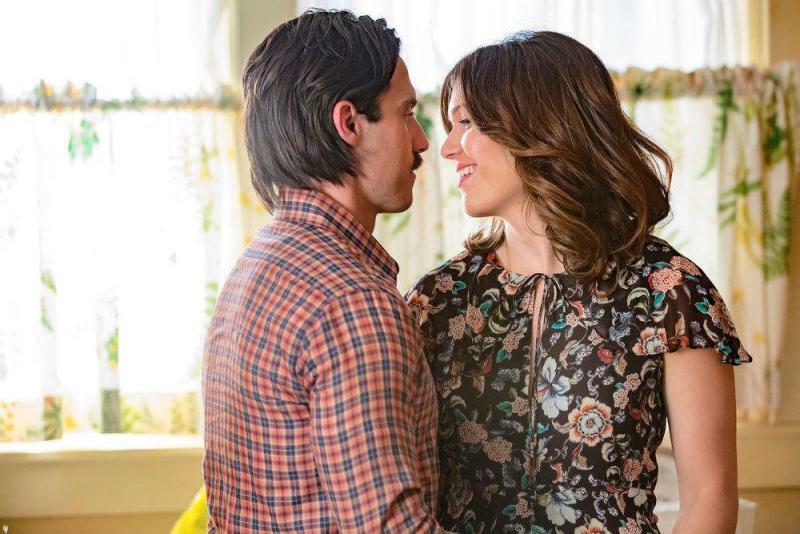 The Season 2 finale of “This Is Us” airs Tuesday, March 13, at 9 p.m. ET on NBC.